Come out and get active in your neighborhood park! We welcome New Yorkers 60+ to participate in free tennis lessons, yoga and fitness walking in 16 neighborhood parks across the city. Activities in this six-week Seniors Fitness program take place twice a week and all equipment is provided. Spring Seniors Fitness is available from April through June. For dates, times and to register click here. 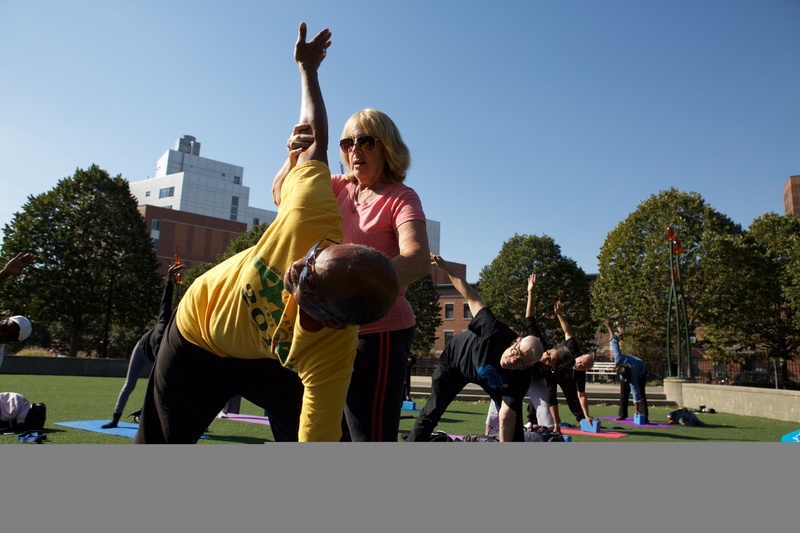 For more information on our Seniors Fitness program, contact sports@cityparksfoundation.org or call (718) 760-6999. Generous private support is provided by David Pinter and Zwicker Electric Co., Inc., The Northfield Bank Foundation, and the Eastern Adult Tennis Foundation (EATF) of USTA Eastern. Public support is provided by New York City Council. In partnership with NYC Parks. @Simply_Keen see you in the parks!